Award recognizes outstanding tele-ICU collaboration between in-hospital and remote care teams. Knowing that our patients have constant, round-the-clock care by critical care physicians available to them allows our in-hospital team to perform at our best and ultimately improve overall patient care. 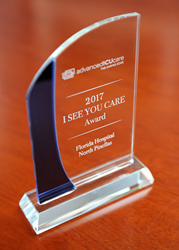 Florida Hospital North Pinellas was selected as a recipient of the 2017 I SEE YOU CARE Award presented by Advanced ICU Care, the nation’s leading provider of high-acuity telemedicine services. The award recognizes outstanding collaboration between in-hospital care staff and Advanced ICU Care’s remote critical care team – a partnership that is vital to improving patient care and outcomes in the demanding intensive care unit (ICU) environment. 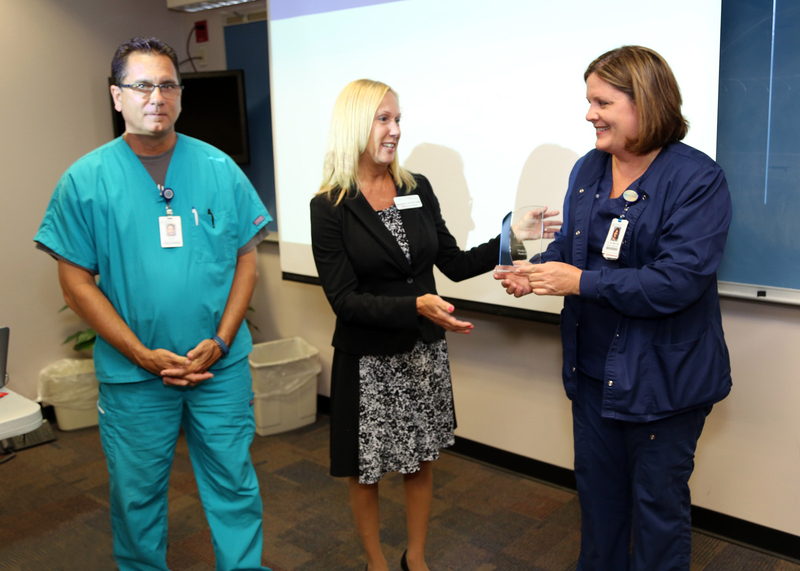 Florida Hospital North Pinellas was one of only 3 hospital recipients across more than 65 hospitals in the United States to be considered the award. 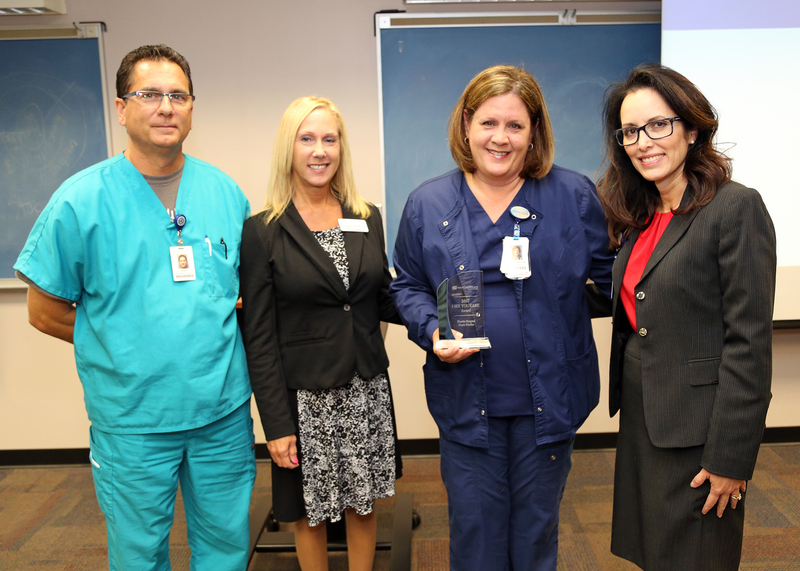 Florida Hospital North Pinellas was recognized in a ceremony on April 13 and was also honored with a donation to the Florida Hospital North Pinellas Foundation. Established in 2016, the I SEE YOU CARE Award honors Advanced ICU Care tele-ICU partners for their efforts in caring for patients, collaborating across geography and leveraging telehealth to make a profound difference within their hospital. Recognition is given in four categories: hospital, administrator, physician, and nurse. Florida Hospital North Pinellas, located in Tarpon Springs, is a 168-bed, full-service hospital specializing in cardiovascular medicine, emergency medicine, orthopedics, wound healing, sleep medicine and general surgery including minimally invasive and robotic-assisted procedures. Florida Hospital North Pinellas has been nationally recognized by the American Heart Association, the American Stroke Association, The Joint Commission, and The Leapfrog Group, for excellence in providing quality patient care. 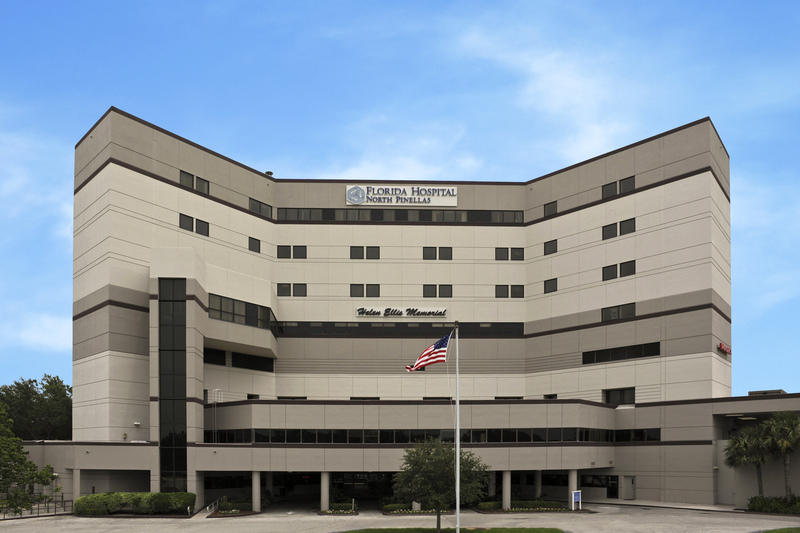 Florida Hospital North Pinellas serves both the Pinellas and Pasco communities of West Central Florida. Part of the Adventist Health System, Florida Hospital is a leading health network comprised of 26 hospitals throughout the state. For more information, visit http://www.FHNorthPinellas.com. Advanced ICU Care® is the nation’s leading provider of high acuity telemedicine services, serving more than 65 hospitals in 24 states on a 24 x 7 x 365 basis. 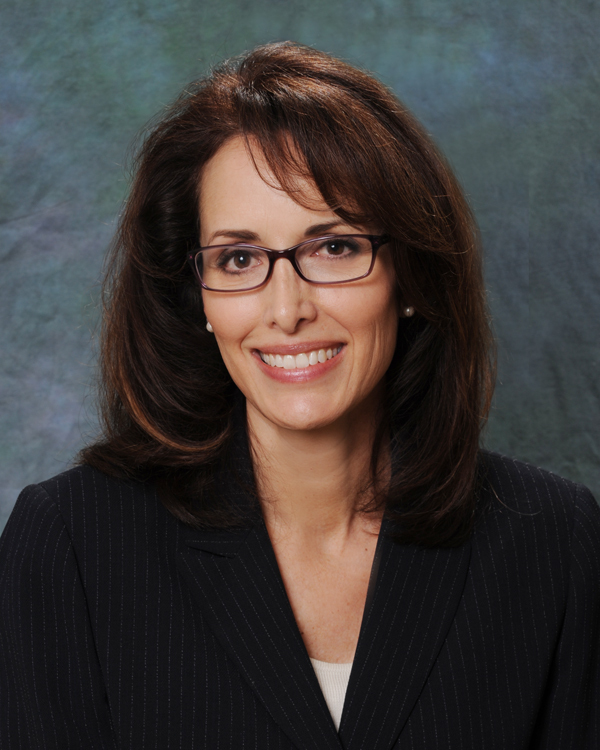 Advanced ICU Care is a technology-enabled clinical services provider that employs cutting edge tele-technology, U.S. board-certified intensivists, advanced practitioners and nurses trained in critical care, multiple dedicated tele-care delivery centers, and a proven implementation and client service approach to the benefit of patients, families, providers and hospitals. For more information, visit http://www.advancedicucare.com.